← Photojournalist Wanted — Louisville, Ken. How Hard is It to Get Back in the Work Force? How difficult is it to return to the workforce after a few years off? Very difficult but not impossible, as I detail about my own experience in Always Be Job Hunting. 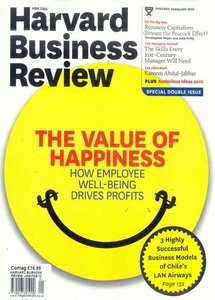 The Harvard Business Review’s November issue also looks at the topic, and cautions against thinking a return is even harder in our current depressed jobs market. “Given the weak global labor market, this may seem a strange time for employers to be expanding their pipeline of prospective employees. But that view misses an important point. Even though unemployment is high, companies struggle to find the right applicants. The potential candidates for returnship programs are a high-caliber bunch. “During the four years I’ve spent running return-to-work conferences, all the attendees have held bachelor’s degrees, 75% have held graduate degrees, and 75% had worked for at least 10 years before taking an intentional break. Returning professionals offer enlightened employers a rare opportunity: They allow them to hire people who have a level of maturity and experience not found in younger recruits and who are at a life stage where parental leaves and spousal job relocations are most likely behind them,” writes the article’s author, Carol Fishman Cohen. My return to the office workforce came in 2005 after seven and a half years of working from a home office so I could raise my children. While the challenge I faced may not been as difficult as someone who had stopped working altogether to raise his or her children, it still required me to convince a potential employer that I could function in a more structured work environment. This entry was posted in Job search tips, working conditions and tagged Always Be Job Hunting, career changes, coping with a new job. Bookmark the permalink.